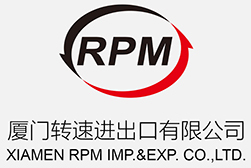 Rimpex Rubber supplies Fluororubber FE2701, China origin. Fluororubber FE2701 is a copolymerization fluorinated elastomer of tetrafluoroethykne monomer and propylene monomer. Its fluorine content is 57%. Fluororubber FE2701 has excellent machining performances suitable for mould pressing, extrusion, calendering molding. Adopting organic peroxide as curing ingredient, the products vulcanized from Fluororubber FE2701 have good heat endurance property against high temperature, that is, such Fluororubber FE2701 vulcanized products could work long time at 0℃~200℃ range. Besides performances of Fluororubber series like excellent heat tolerance, chemical mediator resistance, electroinsulating property, Fluororubber FE2701 has good endurance to inorganic acids, inorganic bases and strong high pressure steam. Fluororubber FE2701 has applications in making rubber products with heat tolerance performance and chemical mediator resistance performance, such as seals, valves dissepiments, conveyance flexible tubes, etc. Fluororubber FE2701 is suitable for storage in clean, cool, dry places. Fluororubber FE2701 flake products are insulated with isolating films, then encapsulated into PE film bags & cartons, net weight 15kgs/ctn.